Blackwell established his Fayetteville practice in 1980. His early residential commissions — including the Moore HoneyHouse, Cashiers, North Carolina, and the Keenan TowerHouse, Fayetteville — first garnered attention for their expressive structures and reinterpretation of vernacular form. This approach remains evident in recent projects including the Ruth Lilly Visitors Pavilion at the Indianapolis Museum of Art, as well as the Montessori Elementary School, the L-Stack House, and the Gentry Public Library, all in Fayetteville, Arkansas. Marlon Blackwell is a distinguished professor and department head of the Fay Jones School of Architecture at the University of Arkansas. Blackwell wrote his first monograph, An Architecture of the Ozarks: The Works of Marlon Blackwell in 2005. 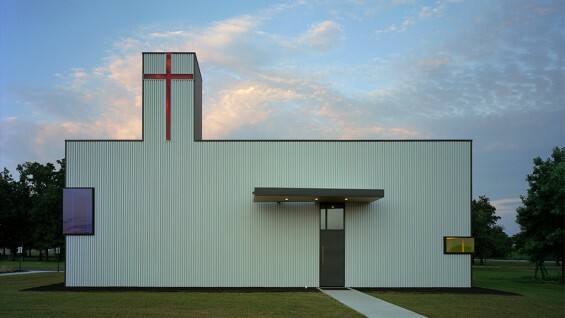 Blackwell is the recipient of the 2012 Architecture Prize from the American Academy of Arts and Letters and AIA National Honor Awards in 2012 and 2013. Marlon Blackwell Architects was also recognized as Firm of the Year by Residential Architect Magazine in 2011. Walter Chatham, who serves on The Architectural League’s board of directors, is principal of Walter Chatham Architect. Free to current Cooper Union students/faculty/staff and League members. Non-members may purchase tickets here.